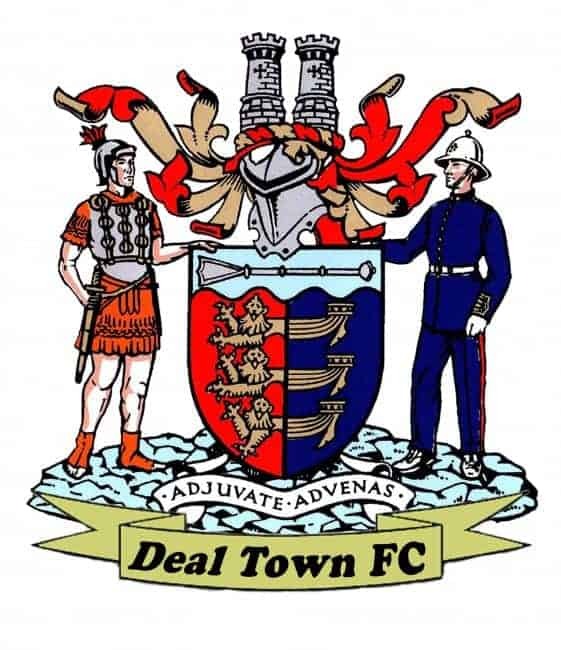 Deal slipped to their second four-goal defeat of the season at the hands of title-chasing Ashford United on Saturday. But, unlike their 4-0 success at Homelands back in early October, Ashford were made to work much harder for the points on this occasion by an injury-hit Hoops side who finished the match with 10 men. With Grant Bagley and Lee Scott ruled out by knocks beforehand and Charlie Walsh unavailable, Derek Hares’ problems increased 14 minutes from time when, having just used his third substitute, the Hoops’ manager saw goalscorer Joe Anderson limp off with another injury. Leading 2-1 at the time, Ashford took immediate advantage when Shaun Welford headed his 25th goal of the season a minute later and the visitors then completed a somewhat flattering scoreline through substitute Ryan Palmer two minutes from time. Hares said afterwards: “Ashford probably deserved their 2-0 half-time lead but I thought we responded well at the start of the second half. We pulled a goal back and were pressing for an equaliser during our best spell of the game. Ashford are a big, powerful outfit who play to their strengths and the young Hoops’ side predictably found it hard going both physically and also in terms of experience. But, as has been the case in plenty of matches this season, it would be hard to fault their endeavour and there was little to choose between the teams in the opening exchanges. But then, with 18 minutes gone, United sent tall centre-half Pat Kingwell forward for a long throw-in and Kingwell, who also has had plenty of experience playing as a striker, showed why with a sharp turn and finish in the box. That goal enabled Ashford to settle into their game and they began to produce the sort of confident football you would expect from a side who had won eight of their previous nine matches. Hoops’ keeper James Tonkin did well to deny Ryan James after a strong run by the left-back but Tonkin had no chance when, with 35 minutes gone, James fired in a cross which was headed into the far corner by Welford. Apart from one mishit effort by James Paxman Deal created little to worry Ashford goalie George Kamurasi in the run-up to half-time but, if the visitors thought the second half was going to turn into another stroll, they were soon made to realise otherwise. The Hoops were much more aggressive after the break and they gained their reward just past the hour mark when Dean Hill set up Steve O’Brien for a shot from the edge of the box to which Anderson applied the decisive final touch. Deal now had their tails up and, with Ashford looking rattled for the first time in the match. Hares tried to increase the pressure by using his two remaining substitutes, but unfortunately the move backfired when Anderson picked up his injury and Ashford then grabbed their chance to regain control. Hares added: “I felt that at the time we lost Joe we were definitely in with a chance of drawing the game. Deal: Tonkin, Paxman, Hark, Bigginton (Gregory 67), Hill, O’Brien, Reeves (Smith 74), Anderson. Coyne, Adams, Alexander (Miller 61).